Burundi has an incredibly beautiful landscape and rich and varied flora and fauna. From the shores of Lake Tanganyika, the deepest lake in Africa, the land rises abruptly to create dramatic rock formations, gorges with waterfalls, and hot springs. For animal lovers, the cloud forest in the northwest is a haven for primates, while the Rusizi Delta is an oasis of tranquility and a paradise for bird watchers. La Pierre de Livingstone et Stanley: This large rock, about three miles south of Bujumbura, allegedly marks the spot where the New York reporter Henry Morton Stanley met the missionary and explorer David Livingstone and uttered the words “Dr. Livingstone, I presume?” -Yes, I am happy to be here to welcome you. This happened in November 25, 1871 at Mugere. A stone was erected on site to capture the encounter between the famous scientist and the young reporter STANLEY, who went to look for him. Source of the Nile: The famous Nile River has its southernmost source in Burundi, downhill the mount Gikizi at 2,044m of altitude and at 6,671km from its contact point with the Mediterranean Sea. It was discovered in 1934 by the German Waldecker. A pyramid that symbolizes this long sought after discovery was set up in 1938, at the top of the mount Gikizi at 2,088m of altitude. From this structure, you can look over the central plateau of Bututsi and the plain of Muhweza, as well as the urban centre of Rutana that seems to seep out of the verdant mountain dominating the plain of Kumoso that stretches to the the Tanzanian border. A commemorative metallic signpost indicating the route of the Nile was carved in the east wall of the pyramid. The Nile is the longest river in Africa. Its channel crosses five African countries upstream-downstream, of which Burundi, Rwanda, Uganda, Sudan, and Egypt, without mentioning other five countries that constitute the bulk of its basin. Huge electric dams of which that of Assuan and Assiout were built on the Nile which made the basis of the political and economic unity of Egypt. 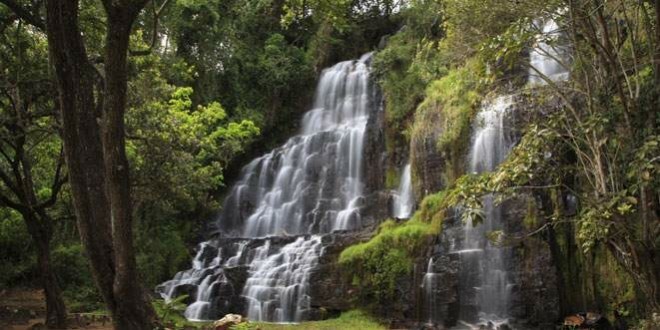 Chutes de la Kagera: Near Rutana, in the southeastern part of the country, you’ll find some spectacular waterfalls, which are especially breathtaking from October to January. There’s no public transportation to the area, so charter a private taxi for the day. The Mausoleum of Prince Louis RwagasoreHere rests Prince Louis Rwagasore, the hero of Independence. Prince Louis R. was murdered on 13/10/1961 after the victory of his political party (UPRONA) which he was the secretary general. Mount Vugizo was chosen as a burial because of the altitude. Unity MonumentThe mausoleum monument of national unity stands at 500m since 05/02/1992. The term “DUSENYERE K’UMUGOZI UMWE” written in the middle of this monument and the eight jets of water around evoke the image of the bundle of firewood where each person brought his hand. Otherwise said in the national language it relates to the commitment, to the preservation, the promotion and the permanent character of national unity. The flag of unity is flanked by two towers, the national flag and the flag of unity. On this same Mount Vugizo, Jesuits built their first school in Burundi, the College of the Holy Spirit. It was the first interracial college built in Ruanda-Urundi. This property was a great symbol of the Belgian school work in this area. Currently, the college is now occupied by the University of Burundi.